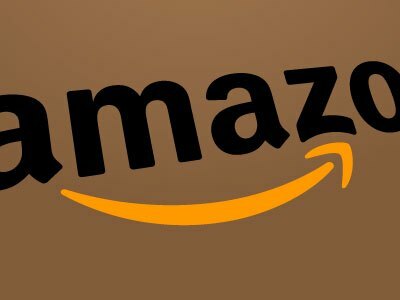 The integrations of Amazon.Com, Inc. (NASDAQ:AMZN) and Microsoft Corporation (NASDAQ:MSFT)’s digital personal assistants is getting closer by the day and may soon see the light of the day. The two jointly demonstrated their joint usage at the Microsoft technology conference, which was held on Monday. The two companies are however yet to announce when the service will be unveiled to the public. The companies announced that Microsoft’s Cortana and Amazon’s Alexa will now start communicating with each other in a first of its kind alliance of rival digital assistants. During the demonstration, Microsoft’s artificial intelligence assistant Cortana managed to speak spoke through the Amazon Echo on stage. The demonstration was organized to showcase the working combination of the two technologies. During the demonstration, Megan Saunders, the general manager of Microsoft’s Cortana asked Amazon’s AI assistant Alexa to add items to her shopping list. She later shifted to work mode. “Alexa, open Cortana,” Saunders gave the command to the Echo. Cortana responded and advised Saunders on her calendar appointments for the day. Also present on the stage during the demonstration was Microsoft CEO Satya Nadella who introduced Tom Taylor, the company’s vice president in charge of Alexa. Taylor went ahead and demonstrated how both Alexa and Cortana could be accessed on the PC. Both Microsoft and Amazon launched the plans in August 2017. The plan will integrate their AI assistants and allow them to communicate with each other. The move came as a shock surprise to many considering that the two are competitors. The whole idea behind the plan is that Alexa is mainly used at home while Cortana is used at work. The move is aimed at allowing people use the two from the same device to carry out different tasks. The companies have been quiet on the partnership since its initial unveiling, and they didn’t debut the Alexa-Cortana service at the end of 2017. Microsoft on said that the integration is still a matter in private beta and does not have a specific date on when it will be launched to the public.